We spent a considerable amount of time in research mode trying to make a list of all the possible explanations for the creepy shed at the top of the mountain. 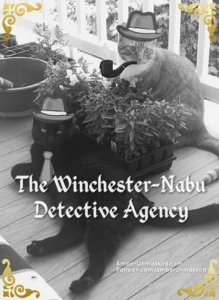 THE WINCHESTER-NABU ESTATE. MORNING. 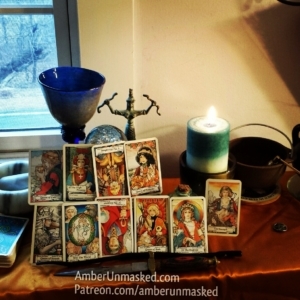 INTERIOR – AMBER’S OFFICE. 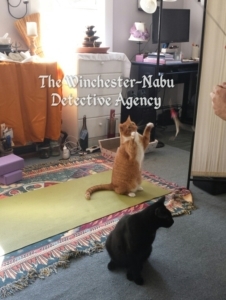 Fortunately, at the Winchester-Nabu Detective Agency, I am the Human Resources Department because otherwise, I’d have a letter in my file for ineptitude. A couple weeks ago, I found an interesting clue while out with Gus. I wasn’t sure how interesting it would be, so I left it on the ground until later. I thought about it for a while and on our way inside, I fetched an evidence baggie and put the item in it. Then I have no idea what I did with it. The item in question was snake skin at a cursory glance. I specifically remember bagging it. It’s not on my desk or by Gus’ harness. I guess I bagged it then absentmindedly threw it out. I’m sure you can imagine the looks on both Gus and Oliver when I had to confess my blunder. I felt like I had to be the Worst Assistant of All Time™. The segment of discarded skin I found was approximately twelve inches (12”) long. I didn’t have rubber gloves readily available to smooth it out and inspect it for possible wing or leg attachments or to get a better idea of the full size. It’d estimate it was possibly two to three inches (2-3”) in circumference. I did see a rather large garter snake in Oliver’s side patio a month or so ago. I had hoped to capture and relocate it to a more suitable spot away from the phobic human. It got away. Although average snakes are cunning and quick, perhaps it was something less obvious. Something of considerable archaeological and zoological value. I didn’t get the opportunity to research right away. I was hit by a miserable sinus infection. When I did feel at least ten percent human and sat at my desk after walking Gus, I was reminded of other possibilities. Lindworm descriptions vary from country to country. Some, like the UK, consider the lindworm wingless and specify that winged two-legged serpents are wyvern. Other countries seem to include the winged variety using the same general name, but then giving each monster its own name for stories. Another fact that has probably escaped the average person is that Medusa was not the only Gorgon. She happened to be the weakest (who would’ve guessed?). She had two sisters, Stheno and Euryale. I thought maybe Stheno was the patron goddess of stenographers and secretaries, but I have a feeling that’s a swing and a miss. These two sisters are immortal. When I dug around for the origin of Gorgons, I was not surprised to see the Greek history. Artwork depicting Gorgons goes back as far as 15th century BCE. This wasn’t what I was looking for. In comic book terms, “origin” means the “origin story” or how did that character come into being who they are; while the earliest time someone drew a character would be called the “first appearance.” I wasn’t looking for the Gorgons’ first appearance which is what search results gave me. I was looking for how they came into being. Were they the offspring of serpent gods with humanoid gods? Were they humans or serpents that were magically changed through ritual? Did they evolve from other beings to become their own species? Gorgons appeared around the time of early goddess cults in Greece. They and the goddess cult eventually found their way over to Minoan Crete. Specifically, the goddesses Demeter and her daughter Persephone are revered for their part in changing the seasons. It’s entirely possible that the Universe heard my own acknowledgments of Demeter and Persephone during a spring ritual. The statue of a Minoan snake goddess sometimes rests on my altar. When I look back at photographs from March of this year, the statue was in fact there. Did I call suburban Gorgons into existence? 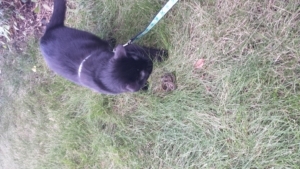 Gus found so many snakes this year, it made his hunting expeditions exciting. He caught them a lot easier than other things. I’m not sure if he’s ever killed any snakes because they get dropped and slither away. Their fates are unknown. Like the lindworm, there are varying depictions of Gorgons. Some showed them with wings and fangs. Certain scholars believe the lore of wings was a mistake made by people who saw splatters and pools of blood covering them. However, since there was a close connection to dragons, particularly at Delphi, wings shouldn’t be dismissed so easily as a possible feature. The oldest oracles were protected by Gorgons at their temples. Since I typically worship here at home (aka at the Winchester-Nabu Detective Agency), I think a Gorgon was created to protect this space. It probably doesn’t bode well that Gus keeps chasing all the snakes. I guess I need to have a briefing with him to explain that we can relocate the snakes to further away from the building, but try not to kill them. Now that evidence collecting protocols have been reviewed and there is still no sign of the serpent skin specimen, the Agency has no choice but consider this Case Closed: Unsolved until further notice. 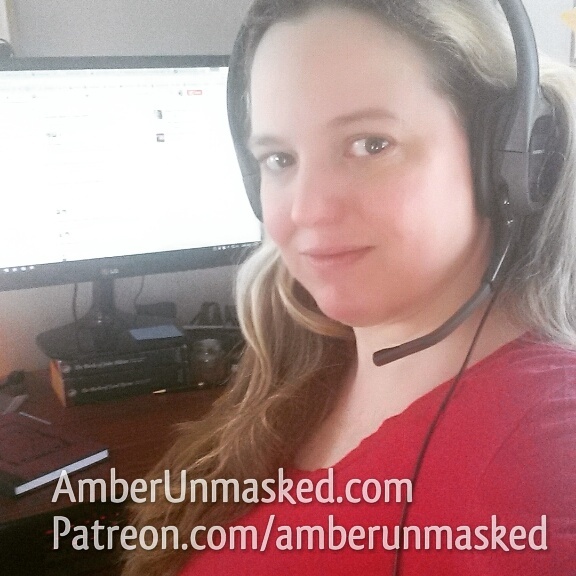 If you’ve enjoyed the Adventures with Gus, consider supporting us on Patreon or sharing the links!